Maximum domain name length: 63 characters -- without the TLD. emoji font, to display color emoji. Test Emoji in Browser. Click to test. Convert Emoji to IDN (Punycode). Convert Emoji "normal"
Free Domain Forwarding and Masking. 24 × 7 e-Mail and Phone Support. for your privacy and protection. Aren't 99¢ .COMs less expensive? ✓ For 1 year? Yes! Most domains, registered for three or more years, will save you money immediately, Domain investors could transfer domains after 60 days, in theory. Everyone else, it's not well advised. All domain transactions are conducted in U.S. Dollars. 40 - 240 GB disk space. 1 - 8 GB RAM (memory). 150 - 1,000 GB bandwidth. Select from Centos 6, Centos 7, Fedora, Ubuntu, Windows 2008, Windows 2012. Select from cPanel or Plesk control panels. 1 - 3 IP addresses. 512 GB - 2 TB disk space. 2 - 32 GB RAM (memory). ′ Bandwidth is an industry misnomer for a measure of data throughput, given in bytes. Prices and specifications subject to change, without notice. 100 GB - Unlimited Disk Space. 100 - 1000 eMail Accounts. 10 - Unlimited MySQL Databases. 10 GB - 30 GB Disk Space. 25,000 - 400,000 monthly visitors. Search engine optimization plugin, with select plans. Malware scan & removal with Ultimate plan. 50 - 300 Business & Personal Themes. 1 - 1000 GB Disk Space. 150 - 1000 GB Bandwidth′. Mobile site included on some plans. Search Engine Optimization (SEO) included on some plans. Social media manager included on some plans. 20 - Unlimited Product Catalog. 1 - 10 Images per product. 1 - 50 GB disk space. 1,500+ quick-start design and color combinations. No set-up or per-sale fees. Accept credit cards, PayPal Express® or phone orders. UPS®, USPS®, and FedEx® shipping with real-time rates. 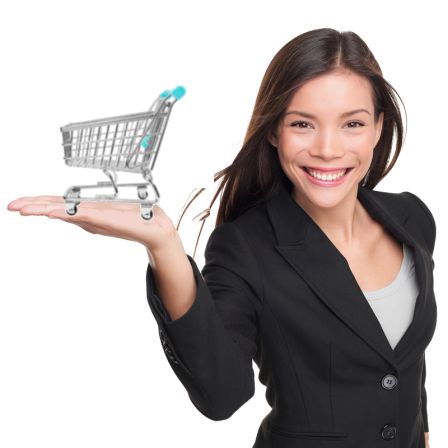 Add your products to eBay and Google Product Search. A special thanks to Icons DB ( http://www.iconsdb.com ) for the shopping cart icons! 1 - 5 email addresses. 1 GB - Unlimited storage. Full-featured web interface for desktop and mobile (Web Mail). Supports POP3 and iMAP access by desktop and mobile e-Mail applications. Strong virus, spam and fraud protection. ...are different subdomains, even though they generally point to the same Web content. 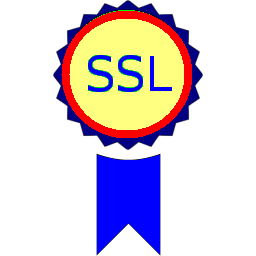 However, if you purchase a single domain SSL, you may find yourself needing to purchase a 2nd SSL for the alternate subdomain. A Multiple Domain UCC SSL can protect at least five (5) subdomains and organizationally related domains (SANs - Subject Alternative Names), for about the same cost as two (2) single domain SSLs. For the majority of customers' needs, this is recommended. Hint: You will be in a better situation if you opt for your Multiple Domain UCC SSL for a three-year period. Why? For one thing, it's a 20% savings. More importantly, you won't have to risk the untimely expiration of your secure certificate and you won't have to re-install the secure certificate every year. Getting a self-signed certificate, certificate signing request (CSR), key, and requesting, installing & testing the secure certificate isn't difficult or slow but it takes some effort and can be tedious. Understandably, one might want to test the Multiple Domain UCC SSL before opting for a full 3 years. You're testing the Multidomain UCC SSL Certificate right now, by visiting this site. If this were not a good and workaable solution, we wouldn't be using it or offering it for sale. Some of our sites run on alternate partner servers, just to demonstrate that the secure certificates do work on other hosts. Because our SSLs work with all major browsers, and because we work hard at trying to maintain the lowest prices, we're pretty sure these are the most cost-effective SSLs on the Web but go ahead an compare us to that other guy; compare us to everybody. We think you'll find our prices are a good reason to do business with Cookie's Domain Shop. 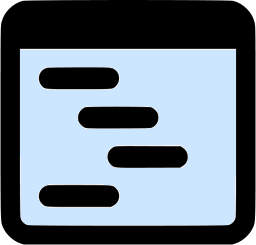 Code Signing certificates attach a digital signature to code to validate that the content has not been altered since it was signed and distributed. Authenticates the source and integrity of your code. Inspires confidence from users by showing them your code is trustworthy. Digitally signs software objects, device drivers, configuration files, macros, and more. Driver Signing certificates (also known as kernel-mode Code Signing certificates) are identical to Code Signing certificates, except they are specifically designed to secure code from Windows® hardware drivers and operating systems. Driver Signing certificates are required to sign all drivers on any Windows Vista® operating system or later. Is required for all Microsoft® hardware. Reinforces security with cross-certificate validation. 10 - 100 GB disk space, anywhere you have Internet access. Access important files from any online computer..
High-resolution image viewer and slideshow. 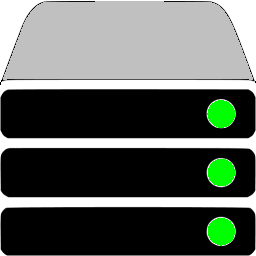 Multiple access points: Computer, Website & FTP. A special thanks to Icons DB ( http://www.iconsdb.com ) for the icons used in developing the graphics used on this page! Transfer Domain Names (Free 1-year extension, while sale lasts...). Bulk Transfer Domain Names (Free 1-year extension, while sale lasts...).